(Order of Rigden Djapo by Nicholas Roerich. Ooooooo I came upon something interesting, but I don’t know how to compress it into one post and make it clear. But this is fascinating. Andrei Znamenski is a historian and researcher teaching at the University of Memphis. His speciality is Russian history, shamanism, Buddhism. Video on some aspects of this at the end of this post. The basic premise is that the idea of Shambhala may even have been modeled on the idea of Jihad, as a result of cross fertilisation between Islamic and Buddhist cultures. Plus he goes on to outline how Roerich and others used the exile of the Panchen Lama to try and promote a pan-cultural ‘new world order’ of sorts based around Buddhism. he got backing (limited, secret, ultimately resulting in betrayal) from Russia, where, at the time, there was a huge interest in the paranormal. Ultimately the energy behind the Shambhala story was hijacked by very many different outfits, all seeking to capitalise on the natural fragile human openness to spiritual hope and bliss.There is more to this, but that’s an outline. To make a long story short, Shambhala was a Buddhist prophecy that had emerged in the Early Middle Ages. When Muslims had advanced into Afghanistan and Northern India, they dislodged the Buddhists from these areas, and they had to find a safe haven somewhere. So they came up with a spiritual resistance prophecy that was identified with a land, a utopian land, a kind of a Buddhist paradise, where the members of this faith would be free to live and worship without been harassed by the “barbarians” whom Sanskrit sources called “Mlecca people” or, in other words, the people of Mecca. The legend claimed that somewhere in the North there was a mysterious country, a land of plenty where people lived 900 years, where they were rich and had houses where roofs were clad in gold, and where nobody suffered, and of course, where the Buddhist religion existed in its pure form and so forth. At that time (my note: When Roerich arrived in Tibet), no one except a few close relatives and disciples of the painter knew that he had formed a grand plan, which included dislodging the sitting Dalai Lama and installing instead the Panchen Lama, second in the Tibetan hierarchy after the Lhasa ruler, reforming Tibetan Buddhism, and establishing in the vast spaces of Inner Asia a new theocracy, which he planned to call the Sacred Union of the East. On his occult map, which was tied to Tibetan-Mongol prophecy of Shambhala, the timing was right, he declared, to launch this exciting new project. 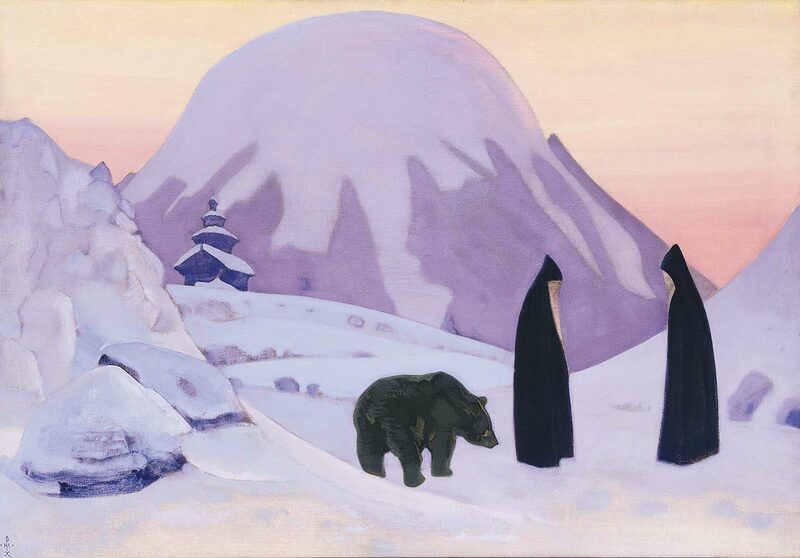 The name of this ambitious dreamer was Nicholas Roerich. During what is called in Russia, the ‘Silver Age’ (1890-1914) there was an interest in Asian philosophy, in the folklore and beliefs of the peoples of Central Asia who had newly been incorporated into the Russian Empire in the 1870s. Along with this interest in Asian thought, there were links to spiritual and esoteric movements in Western Europe. The Shambhala myth developed in India around the year 1000 AD and is related to the Kalachakra Tantra (The Wheel of Time). Part of the Shambhala myth is written as a detailed prophecy about the future — basically the period 1000-2000. The first phase of history was to be a period of decline when teachings of the Buddha would be overrun and his followers dispersed. The true teachings would then only be found in Shambhala, a secret land guarded by high mountains with an all-wise king who would occasionally send out messengers into the outer world with teachings or to provide help to seekers. Toward the end of the period covered by the Kalachakra, thus some time shortly before the year 2000, in a time of troubles, the King of Shambhala, Rigden Djapo, would come from Shambhala with an army, defeat evil and a time of love, compassion, joy and equality would begin. Tibetan teachings and the Shambhala myth entered Russian intellectual life through Agvan Dorzhiev (1858-1938), a high lama who had been the chief tutor of the 13th Dalai Lama and who was sent as an Ambassador to the court of the Russian Tsar. Dorzhiev hoped that the Tsar would become a protector of Buddhism and help in the creation of a panBuddhist state under Russian protection. 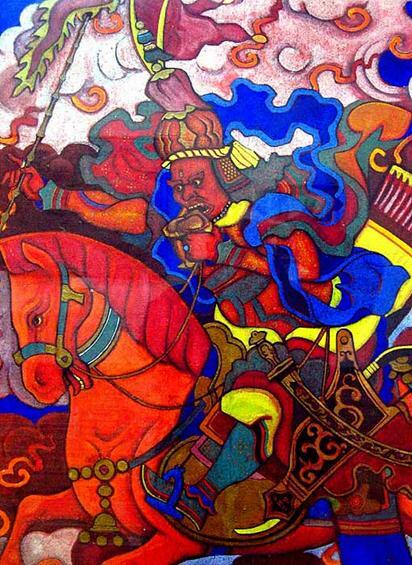 Careful manipulation of shamanic myths and Buddhist prophecies crafted by self-made scholars and savvy spies sought, after the 1917 Revolution and during the Red-White Civil War, to advance the Communist cause. Convincing natives in the Siberian and Himalayan regions, a few adventurers reasoned this call to unity could challenge the British rule of India, weaken the Whites, and totter the Chinese warlords. Discouraged by the Red Terror that obliterated the White resistance to communism after the October Revolution, Barchenko sought a peaceful method by which equal rights could be established and Marxism implemented without bloodshed. As a “Red Merlin” he wished to build a communist theocracy “controlled by peaceful and spiritually charged high priests of Marxism”. His boss became the chief cryptographer of the most secret of the Soviet intelligence agencies. This agency experimented with telepathy at a distance, re-engineering of mental powers, electronic surveillance, and what we would label parapsychology. 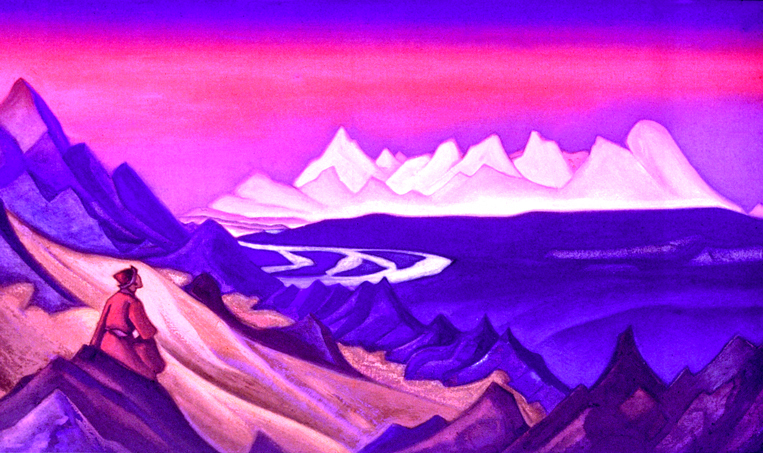 (The Treasure of the World/ The Chintamani ~ Roerich. When I was writing my previous book, The Beauty of the Primitive, about shamanism and the Western imagination, I stumbled upon some interesting information that in the Soviet Union of the 1920s there was a secret lab where Soviet secret police was conducting experiments with Buddhist lamas, shamans, hypnotists, and all kinds of spiritual experts. The goal was to use this knowledge to spearhead the cause of communism. Then I found information that this lab was part of so-called Special Section of the Soviet secret police. The head of the Special Section was Gleb Bokii. This hereditary aristocrat, whose ancestor had been granted nobility by the Ivan the Terrible, was an interesting man. First of all, Bokii was one of the spearheads of the 1917 Bolshevik Revolution, and afterwards became one of the leaders of the secret police in Red Russia. An active member of the Marxist underground, he spent much of his life before 1917 in czarist prisons and exile. At the same time, he dabbled in occult knowledge and mysticism. In the early 1920s, he stumbled upon a writer and occultist named Alexander Barchenko and became close friends with him. Eventually, Bokii put Barchenko in charge of that secret lab. Barchenko was very much interested in the Agartha legend – a Western occult myth about a legendary country that exists underground and preserves high knowledge. French occult writer Alexandre Saint-Yves d’Alveydre, who popularized this legend and whom Barchenko held in a high esteem, argued that this mystic country was located somewhere in Inner Asia. Later, when in 1918 Barchenko learned from Mongol and Tibetan visitors to Bolshevik Russia about the Shambhala legend – a story about the Tibetan-Buddhist spiritual paradise and abode of high wisdom – he came to conclusion that the legendary underground land and the mythological country from the Tibetan-Buddhist tradition, is the same thing. In fact, in his talks he frequently used expression Shambhala-Agartha. Bokii with whom Barchenko shared this knowledge became very much excited and together they began planning an expedition to Tibet to access this country and to use its “ancient science” to help the cause of Communism. This emphasis on science was not an accidental remark. Both Barchenko and Bokii thought about their occult quest as an attempt to locate some hard scientific knowledge (mind-bending techniques, mental waves, the sound effect of mantras and so on) that was hidden in the heart of Asia and needed to be unlocked. Barchenko himself set up a society called the United Labor Brotherhood, modeled after George Gurdjieff’s brotherhood. The goal was to use sacred knowledge to promote communal lifestyle based on high moral standards and spirituality and eventually make people nobler. The more I think about it the more I realize that it was about the time itself – the 1920s and the 1930s. Remember that German word zeitgeist, the spirit of the times. That is what it was all about. At first, there was such horrible disaster as the First World War. Then the Great Depression came. People had this feeling that the whole world was coming to an end. In such times, both the populace and the elites naturally rush to entrust their fate to various ideological and political saviors (for example, Mussolini, Stalin, Hitler, and Roosevelt), who promise welfare and security for everybody. That is why we have all those dictatorships growing all over the world at that time. If you look at a map of the world from the 1920s to the 1940s, you may count on your fingers those few countries that remained more or less democratic: England, Sweden, and the United States. By the way, even the United States under FDR clearly moved toward centralized state. If it had not been for those checks and balances in the US Government, FDR, a power-hungry Machiavellian, would have taken advantage of the crisis situation and with all his prices and wages regulations and back-to-land philosophy would have produced something resembling Italian fascism. So I think longing for the “great father” was a way to resolve the crisis. Among the people of that time there was an expectation that a savior should come – a Stalin-type figure, or a Hitler-like prophet, or FDR-type person – benevolent and wise enlightened master. The people wanted to find a sort of master key – the ultimate solution to resolve all the problems in the world. So these dominant sentiments certainly affected the fringe figures we are talking about here: Roerich, Dorzhiev, Bokii and Barchenko, and Ungern. 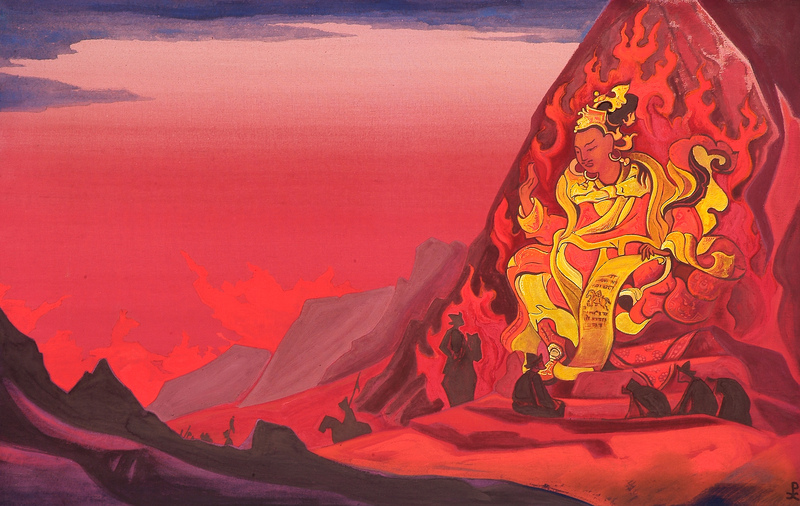 Prophesies from the world of Tibetan Buddhism responded to their spiritual and ideological expectations. After all, they were people of their time. Bokii’s interest in the Shambhala myth was coming partly from the fact that his communist idealism had begun to crack. He was an idealist. He expected that when in 1917 the Bolsheviks came to power, a golden age would arrive. People would be all brothers and sisters. They would stop stealing. They would love each other. The beasts and their prey would embrace each other. But it didn’t happen. Then in 1921, when the Red sailors at Leningrad – who had been the backbone of the Revolution – revolted against the Bolshevik regime, and the revolt was suppressed, he had a nervous breakdown. He might have started saying to himself: “my goodness, we killed so many people in the civil war; half of the nation was destroyed to build a new society.” And it was justified on the basis that you cannot make an omelet without breaking eggs, but now there was no omelet. I assume that this is when he became interested in Barchenko. People are sometimes surprised that Bokii, a die-hard Bolshevik, suddenly turned toward the occult. But part of the reason is because he thought maybe if they go to Tibet they might uncover some secret knowledge, some techniques that could show Bolsheviks how to sway the minds of the people toward Communism and make people better. In case of Bokii and Barchenko it is all about the mind-bending. The Bolsheviks had taken power and they were building socialism. This was all right. But the two friends were disturbed by the fact that the minds of the people were still infested with old prejudices. So they were posing a question for themselves, “How can we transform the minds of the populace?” That is how they eventually became interested in the Shambhala legend. In their view, it could contain some high knowledge that they can bring back to Red Russia and use to spearhead Communism. 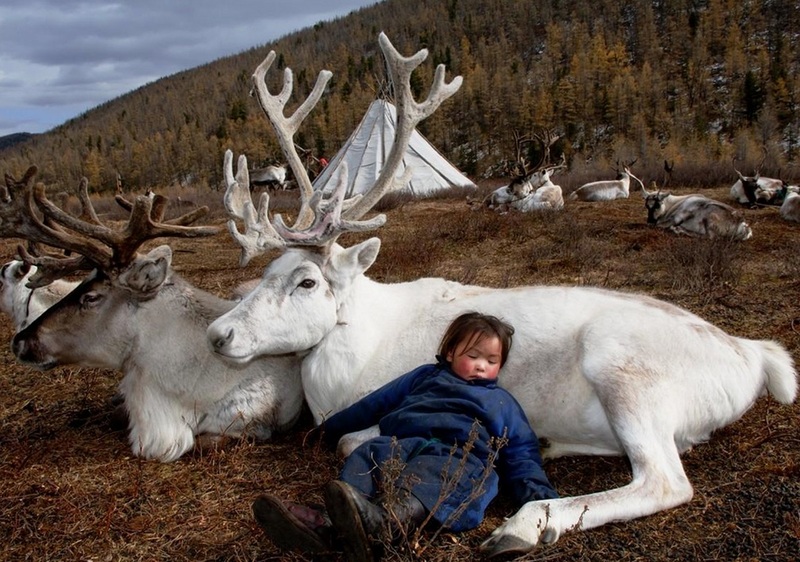 In other words, unlike people like Ungern or Bolshevik fellow-travelers in Mongolia, who were more interested in using martial sides of the Shambhala prophecy, Bokii and Barchenko were eager to use the inner spiritual aspects of that legend. Barchenko claimed to have known Tibet, and so they tried to organize an expedition. And for those who prefer Video to all these endless words 🙂 Here….